Here in the picture book town of Niagara on the Lake we have just surfaced from total immersion in the fantastic theatrical selection box that is the Shaw Festival. After seeing seven plays in four days you may think we would be weary of the theatre, but on the contrary, the shows are so sharp and sparkling that you just feel as if you’ve had a very good time indeed. My favourites were Cabaret, The Charity that Began at Home, and When We were Married. The Charity that Began at Home was not a play I was at all familiar with. It took a frothy and highly amusing look at the often ill conceived intentions behind altruism – that is, there isn’t really any such thing, as there is always something in it for someone. The style is that of a witty comedy of manners and the performance cantered along engaging and entertaining in a delightful manner. I hadn’t heard of the author St John Hankin before but the excellent actors brought it to life and there were two great roles for strong women, always nice to see, which is a recurring feature at the Shaw. We had the good fortune to meet Jackie Maxwell, the Artistic Director of the Shaw, and she explained how the festival was evolving and how showcasing plays with strong women characters and profiling women writers was part of her ethos. The demographic of the Shaw’s audience is on the more mature side but there has been success in attracting a younger crowd with promotions such as tickets for $30 for the under 30s. We do love the plays but we also adore all the artwork and merchandising for the shows which are designed by a very talented artist called Emily Cooper and we get a bit upset when we can’t buy all of the posters to take home from the theatre SHAWP! Interesting to me was the fact that the festival has only 1% of its audience from outside of North America. 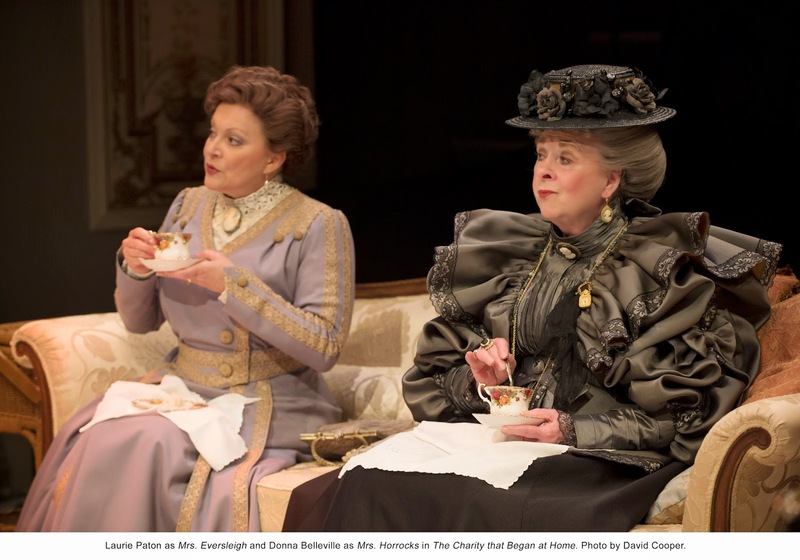 Brits would adore this fabulous theatrical buffet, and we love hearing the Canadian actors doing their super posh English accents, which are pretty convincing on the whole, in all these English plays. I was highly sceptical as to whether the cast would be able to manage the thick Yorkshire accents required for JB Priestley’s ‘When We Were Married’ (he was from Bradford) but they weren’t bad either, with one or two excellent ones. I have lived in Yorkshire so I consider myself able to make that judgement. However, once we got into top gear with the high farce of this comic look at British class and ‘respectability’ the accents were forgotten. It’s a funny play anyway, made quite hilarious by some skilled comic acting once again. And the Canadians seemed to love it, although I’m not sure they got all the references to our weird British class system. 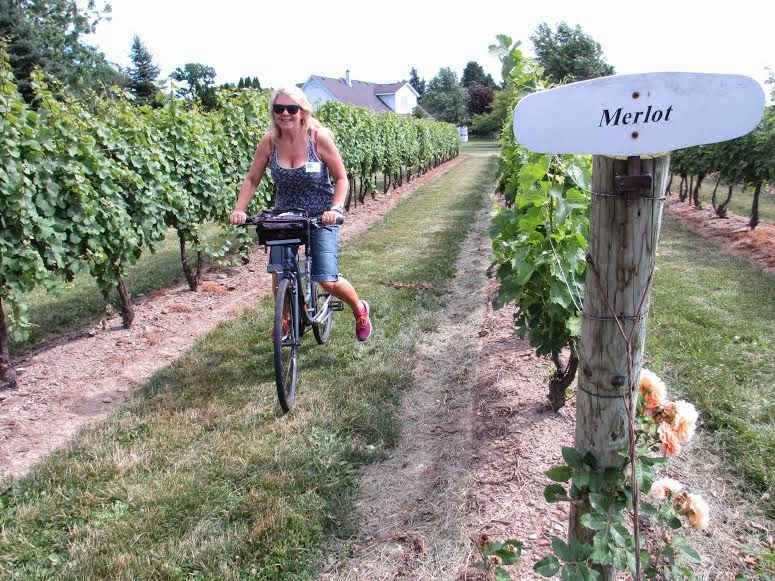 Other fun things to do while at the Shaw include an afternoon cycling around the local wineries. The area around Niagara-on-the-lake is so pretty and almost perfectly flat and there are literally scores of vineyards and wineries within pedalling distance. This makes it a bit of must do while you are here. These are all quite young wineries the oldest dating back to the ancient 70’s. Some have jolly names like the Organised Crime winery, the Foreign Affairs winery and the Meglomaniac winery but making good wine is a serious business. We went with a company called Grape Escape, which was run by a guy called Roger from Doncaster (I think the British are taking over here) and we cycled merrily in the sunshine with some other visitors along the country roads. We visited four local wineries on our tour with Graham and Marjory who were our Grape Escape guides, both retired local residents. My favourite was Pond View and we sampled three or four wines at each one. 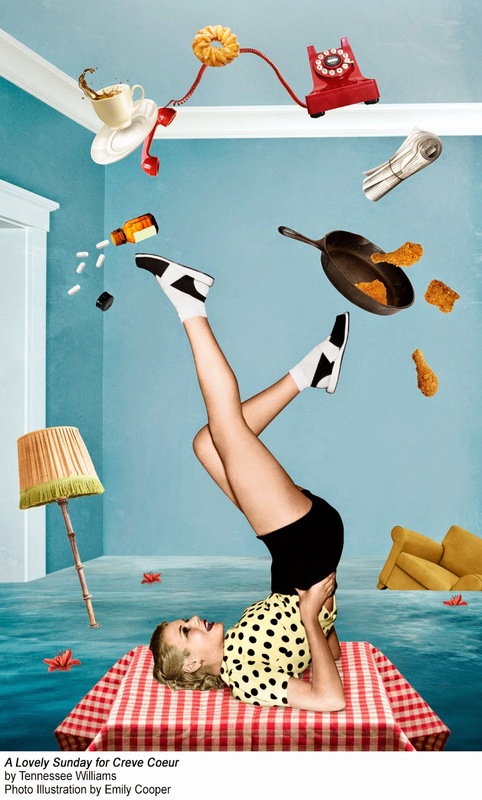 You do have to be careful cycling after drinking though, especially if you haven’t had any lunch, as you may get carried away with the wind in your hair and collide with a tree when taking a sharp bend slightly too fast. Not that I’m saying anyone did that this particular afternoon. Although my knee is still a bit sore. The Shaw festival is something special. I’ve never seen so many first rate productions at once in one place and in such charming theatres, and though I know it’s a cliché, there really is something for everyone here. You would struggle to find seven plays of this quality off the belt in the West End of London and I do hope more people from inside and outside North America make the effort to discover it soon. After seven plays – a thesp rest in..